Today marks 120 Friday favourite posts?! How did that happen? This week has been full of lots of wonderful things. It’s also been incredibly manic, which is pretty typical of the week before a long weekend. I’m not complaining obviously, I’m just sharing an observation! But I am of course uber excited for the bank holiday. It’s going to be excellent. I have a couple of loose plans, but nothing too strenuous planned. Which is pretty ideal to be honest. 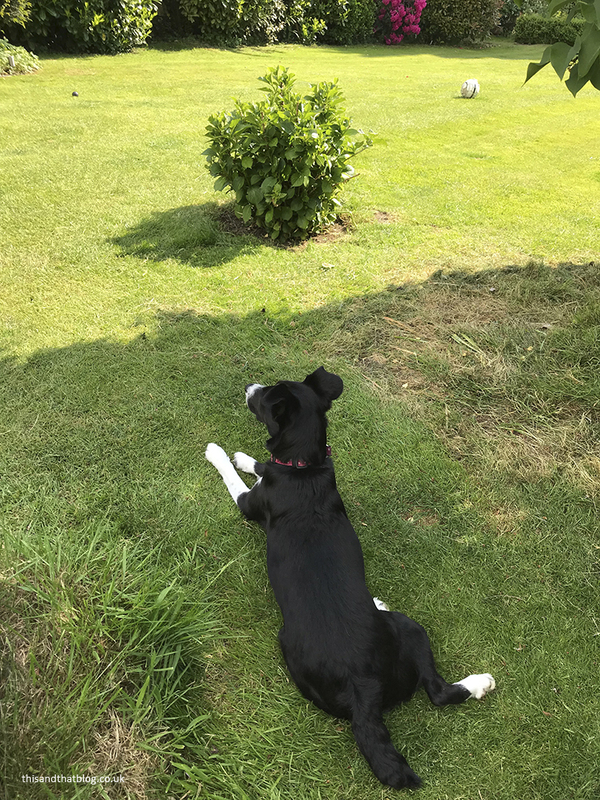 But before we all swan off to enjoy the three day weekend, let me tell you all about my week and the little things that have made it that much better. The first item on the favourite things post is Sunday barbecues. The weather on Sunday was perfect and friends were over from New York City so I traipsed back to my parents’ house and enjoyed a lovely evening in the garden with good friends and family. We drank Pimms, ate a lot of delicious food and talked and talked. Perfect. Also I got to see my favourite dog, the Lunabean. And I may have spent at least half an hour sat on the kitchen floor with her. Yes, we probably got in everyone’s way, but we were having too much fun to care! The next favourite thing from the week that needs to be discussed is my Tuesday night theatre plans. 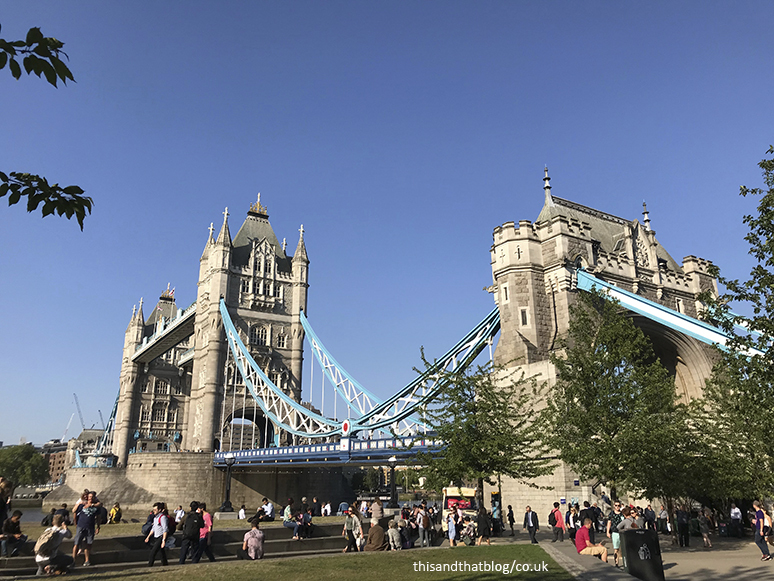 A friend suggested a last minute trip to The Bridge theatre to see Nightfall. The theatre is right by Tower Bridge and it’s an excellent venue. And the play was outstanding. It centres around four characters; mother, her daughter and son and their friend. It looks at life and love and loss and the intricacies of family life. Highly recommend. Now let’s talk food. Because would it be a favourite things post without food? I think not. Last night I made a delicious bean chilli which I ate from taco boats smothered in Nando’s perinaise sauce. Is there anything better? Nope I don’t think there is. I’m serious here though, if you’ve not tried the soft taco boats that one of the Mexican ranges (can’t remember which one) does then you need to get on that asap. Okay, so the royal wedding happened on Saturday, but no I didn’t watch it. I did scroll through twitter looking to see who was invited and what they were wearing, but I was actually in Reading for the day on Saturday catching up with pals and generally having an excellent time. This week I read one of the books that I got for my birthday. 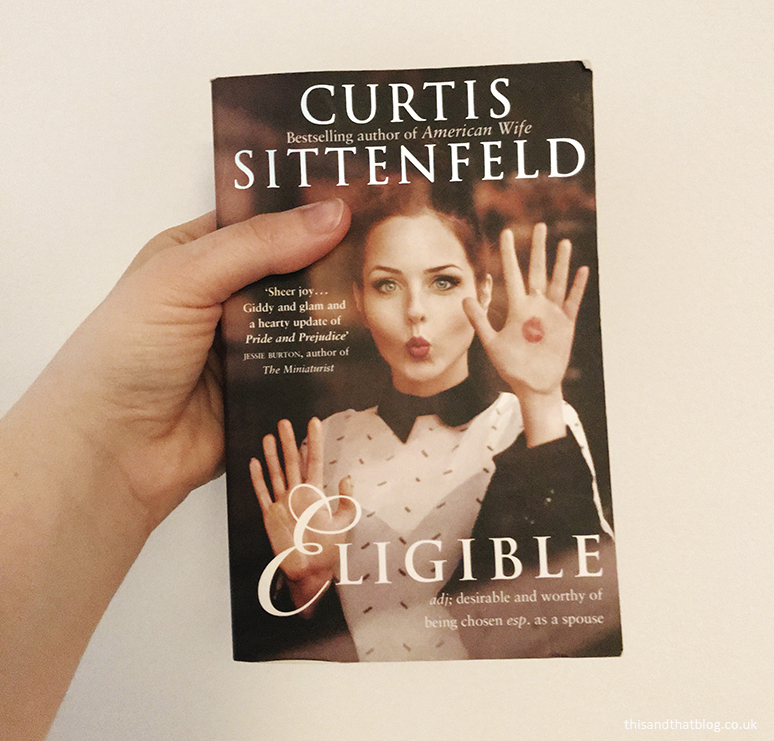 Eligible by Curtis Sittenfeld. This is a modern retelling of Austen’s Pride and Prejudice. I should tell you right now that I am not a fan of Pride and Prejudice at all. I just cannot stand the book or the characters – sorry! But I have been wanting to read Eligible for a while because I was intrigued and I wanted to try it and see. Well I’m pleased I did, because I really, really enjoyed the book. The characters are good, I mean some are hideous but it still works. The story is the same but different and I just couldn’t put the book down. Last on this week’s list is the ASOS 20% sale that happened earlier this week. Mainly because it enabled me to finally buy the headphones that I’ve been looking at for ages ahead of my trip to Australia. So there we go, that’s what I’ve been up to this week. What about your week? Has it been packed full of excellent things, do let me know.